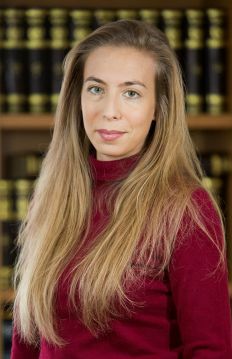 Niki Economou was admitted to the Athens Bar Association in 2010 and is qualified to appear before the Court of First Instance. She has experience in advising on all issues arising from the abuse and protection of human rights. Niki also deals with cases of civil law and has considerable experience in the area of corporate & commercial law, particularly in the establishment of companies, drafting of constitutional documentation and negotiation and drafting of commercial contracts.